Home/Healthcare/All Facts About Sugary Drinks and Artificial Sweeteners – How to Replace them with Natural Sweeteners? Sugary drinks including soft drinks, sweetened drinks, and energy drinks fall at the bottom of the list when we talk about healthy drinks. These beverages contain many calories and no nutrition. 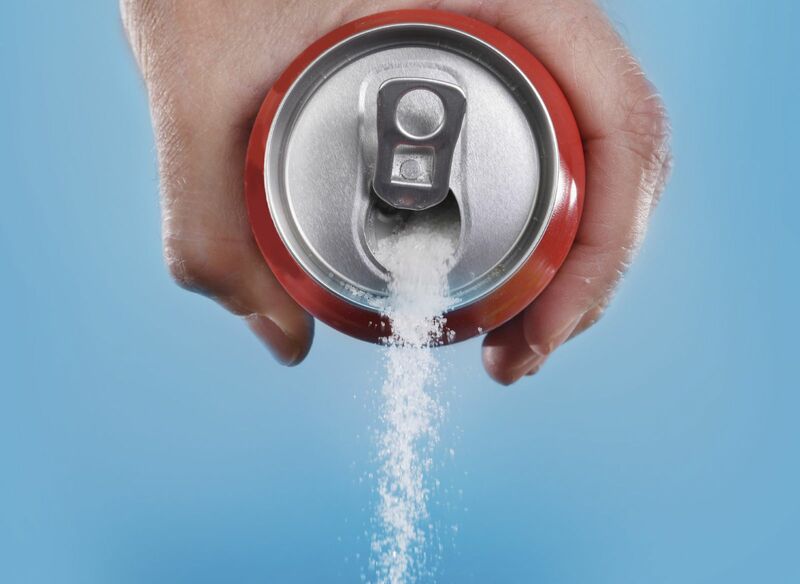 An average sized can of sugary drink contains about 150 calories from the added sugar only. Such drinks are linked to an increased risk of premature death which is a major disadvantage of them. Soda drinks are often said to be harmful for health mainly because of the sugar content. Studies suggest avoiding all types of sugary drinks as many of them may contain even more sugar than coke. Added sugars can be a part of unexpected foods as most processed foods are harmful for health. Too much sugar has never been said to be good for health as it not only damages your teeth but also your waistline. Surprised? Well, sugar is an enemy of your overall health as it will disrupt the hormonal balance and increase the risk of heart disease and diabetes. Soft drinks are commonly sold in 600 ml bottles which equals 16 teaspoons of sugar. An energy drink of 250 ml contains 6 teaspoons of sugar while a 600 ml sports drink contains 9 teaspoons sugar. Even vitamin waters are packed with added sugars which equal 7 teaspoons in a 600 ml bottle. A fruit drink of 250 ml contains 6.5 teaspoons sugar. Therefore even packaged fruit drinks are not good for health as they contain artificial sweeteners. How Much Sugar Can be Taken Daily? It is better to avoid artificial sugars in all circumstances as it does nothing but harm for your body. All sugars have zero nutrition and upset the hormonal health by putting the balance out. Even if you opt for smoothies made from natural fruits, they are still in liquid form which will have some of the bad impact as well. It is therefore recommended to eat whole fruits so as to keep the fiber intact and sugar levels down. How Does Excessive Sugar Intake Damage your Health? Guidelines suggest that added sugar intake should be reduces to 10% per day to limit calories. Sugar intake is the leading cause of many chronic diseases such as obesity, heart disease, diabetes, and cancer. Sugar Replacements – Healthy Alternative or not? Sugar replacements are not good for health either as they will increase your risk of death. A woman consuming four or more artificial sweet drinks deliberately calls her death this way. Frightened? You should say a goodbye to such drinks instead to lower your risk of chronic diseases significantly. 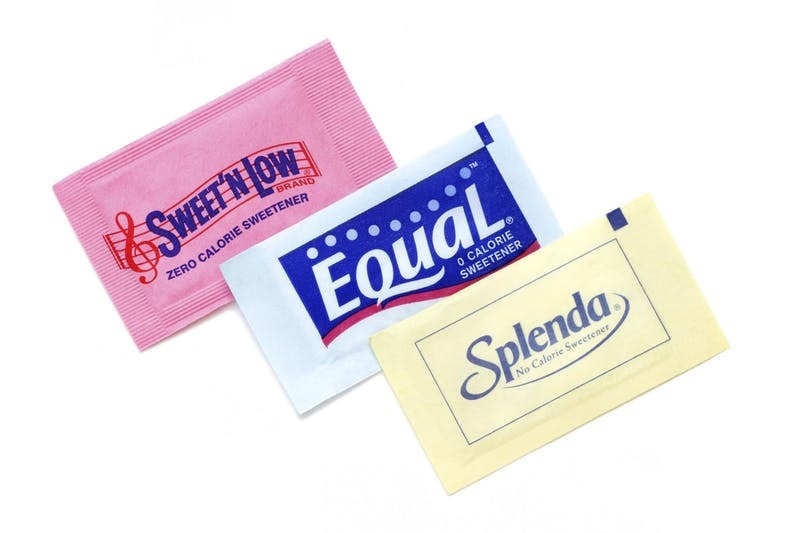 What are the Risks of Artificial Sweeteners? Sugar replacement should be healthy or else it is more harmful than the actual thing. Artificial sweeteners are known to have more sugar which makes them even more dangerous for health. Artificial sweeteners will just mess up with the response of your body to glucose and insulin. Furthermore, artificial sweeteners do no good for the thyroid hormones as they create autoimmune problems. So, it is better in every way not to switch for a sweet fix as artificial sweeteners will do more harm than good. Why Should You Stop Eating Sugar? Sugar intake should be minimized as it causes damage to your overall health. The following reasons can help you understand how sugar affects your overall well being better. Sugar has added calories which does nothing for you except for causing weight gain. regardless of the fact that they are sodas or not. Mostly sweetened drinks are even more sweet than sodas which will have worse effect in health. Refined carbs, sugar, and processed foods have a high glycemic index and are more likely to cause acne. Such foods raise androgen levels in the body that result in acne breakouts more often. The risk of cancer increases with sugar intake as inflammation is caused. Sugar intake and cancer has a complex relation. Sugar is very likely to cause blood sugar spikes and insulin resistance in the body which results in diabetes. The risk factors of diabetes are increasing day by day to cause more health problems in people from early age. Hormonal balance goes out by excessive sugar intake which causes other symptoms such as anxiety and depression. Skin health also gets damaged as the aging process speeds up. The malfunctioning of organs results when you take excess sugar in your diet. Your energy levels are likely to go down making you suffer from fatigue. Sugar only spikes blood sugar and then drains your energy as instantly as it goes up. Sugar is related to dental issues as bacteria accumulates to damage tooth enamel. Studies have shown that consumption of sugary drinks increased the risk of gout by 75% in women and also in men. Soda drinks contain phosphate which when consumed more than calcium damages bone health. Soft drinks and all such beverages are marketed mainly for the younger generation who actually need more calcium for growth. Milk consumption decreases with increased consumption of soft drinks. How to Quit Sugar Intake? Try to cut back on sugar whenever possible by consuming whole fruits instead of fruit juices. Choose products containing no added sugar. Spread slices of fresh fruits on your slice of bread instead of jellies and jams. Use olive oil and vinegar as a dressing for your salad instead of processed mayonnaise based dressings. Maintaining a food diary can help you keep track of your sugar intake. Also list down the foods to avoid as a reminder for yourself. Also make healthy choices your priority to keep your health optimal. So, next time you crave a soft drink or any sugary drink, add a few slices of lemon in a pitcher of water. Also, try to grab the plenty of sweetness from whole fruits. Give some time to your body for adjusting to changed habits and everything will be good. Choose unsweetened products so as to avoid added sugar calories. Try fresh fruit chunks to make most of the nutritional value in them. Yogurt is a good choice with added fresh fruits to have a delicious breakfast. Remember that foods having artificial sweeteners are just marketed as junk foods which make its clear that these are not healthy either. However, with no calories added to artificial sweeteners, short term weight loss benefits may be achieved. Bottom Line – Go For Natural Sweeteners! Natural sweeteners are the healthiest option for substituting sugar. Generally, sweetners that are considered safe are honey, molasses, maple syrup, and fruits juices. However, moderation is the key to a healthier body as sugar in any form can be harmful when consumed in excess. Whole foods can never be replaced with the puree and juices made from them as sugar content takes over. Choose healthy and wise when it is about your health as making yourself prone to have increased risk of heart disease and diabetes is never a good idea.